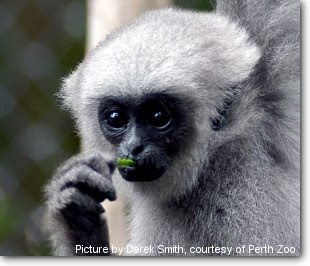 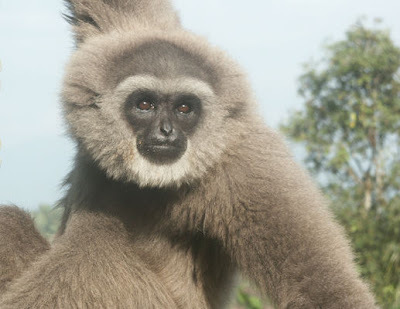 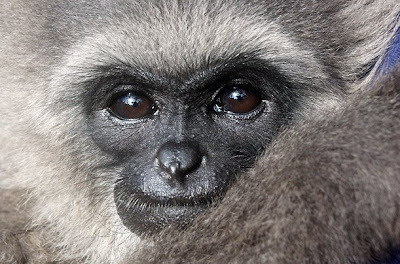 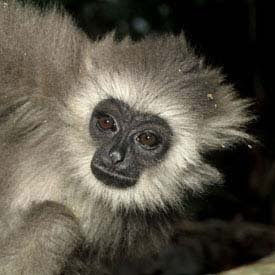 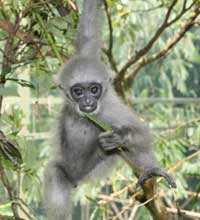 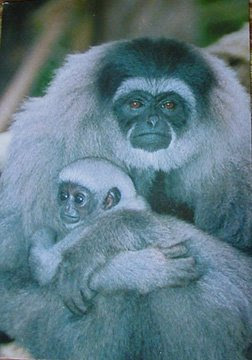 The Silvery or Javan Gibbon is one of the world's most endangered primates, with less than 2000 remaining in the wild. 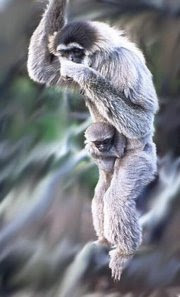 They live only on the Indonesian island of Java. 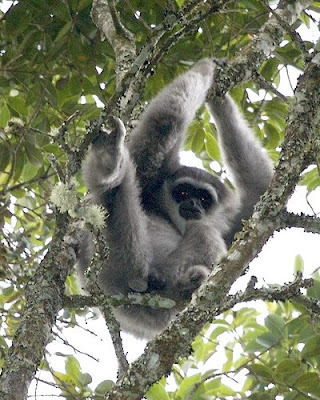 Java has already suffered the devastating extinction of the Java Tiger (effectively extinct - there was thought to be three remaining in 1979). 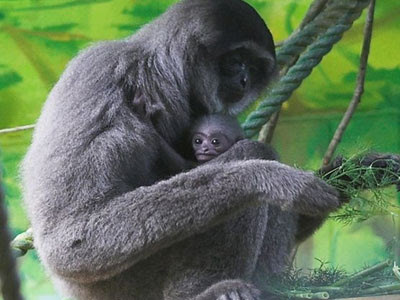 The Javan Rhino is also beyond critically endangered with only about 50 animals remaining. 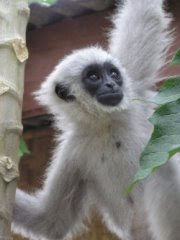 Make sure to check out the gibbon call on the Silvery Gibbon website. 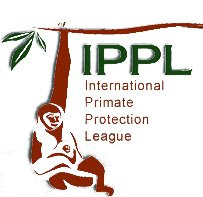 If you weren't in the middle of the jungle when you heard this, you would definitely think it was a car alarm.